Around the holidays, my Frankincense & Fir Diffusr Blend fills my space with a light, uplifting and energizing aroma that does not directly compete with other Christmastime aromas from the tree, baking and so on. 2 Parts Frankincense Essential Oil [Update Since Publishing This Recipe Many Years Ago: The Frankincense species Boswellia sacra is designated as near threatened according to the Red List of Threatened Species database published by The International Union for Conservation of Nature and Natural Resources. Whenever possible, please strive to use Frankincense Essential Oils that are steam distilled from other species that are sustinably sourced and not threatened/endangered. Combine the essential oils in a bottle. Add 1-3 drops from your created blend to your diffuser. Follow the diffuser manufacturers instructions. This recipe is not intended for topical use. Although this blend can certainly be used for the sole purpose of imparting a lovely, seasonal aroma into the room, I prefer to use it more mindfully when I need a spiritual and energetic boost. 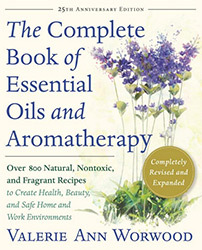 Read AromaWeb's Essential Oil Safety Article and the other articles within AromaWeb's Article Archive area.